The effects of fire damage can be devastating however, depending on the individual painting and the extent of damage, it may be possible to treat the painting. Common damages associated with fire, in addition to the obvious burning of the painting, includes deterioration to the paint layer and blistering and structural damage to the support. Treatment may include re-tensioning the canvas, lining depending on the integrity of the canvas support, and consolidation. The individual blisters can be treated by consolidation and then image reintegration (filing and retouching). Extreme fire damage to the paint layer may also warrant the burnt layer being sanded down and then filled and retouched to integrate the damages. Smoke damage is a frequent cause of oil painting cleaning and repair. 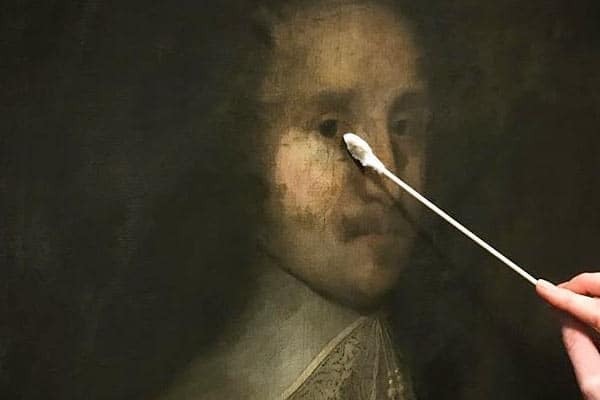 As well as fire damage, soot and ash from fireplaces and nicotine and tobacco all contribute to the discolouration of oil paintings. 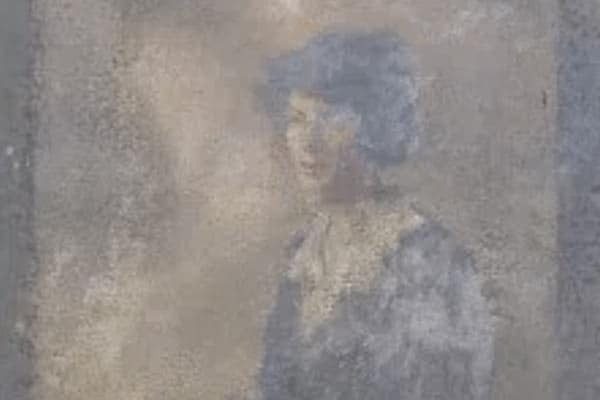 The painting should not be touched or wiped, as this will cause the grinding of the particles into the painted surface and subsequent lasting damage. It should also not be attempted to paint over the surface and try and ‘re-colour’ the artwork. 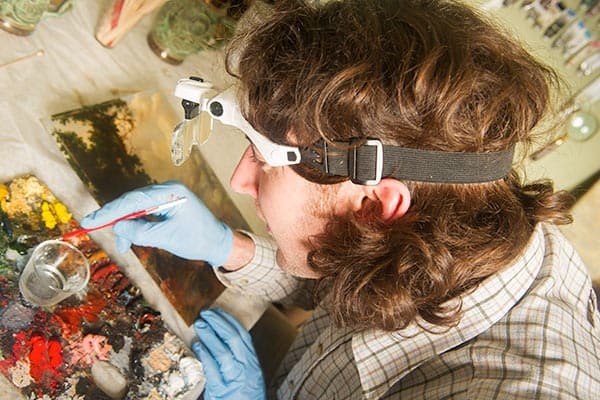 A trained conservator will be able to clean the painting and remove the fine particles of soot and ash without compromising the structural or aesthetic quality of the painting. Moisture can weaken the adhesion between the paint and ground layers which in extreme cases can lead to paint losses. With canvas being a hygroscopic material, it absorbs water and the addition of moisture to the canvas can also impact the tension of the canvas. In addition, the water damage may cause the painting and canvas to stain obscuring the aesthetic legibility of the piece.